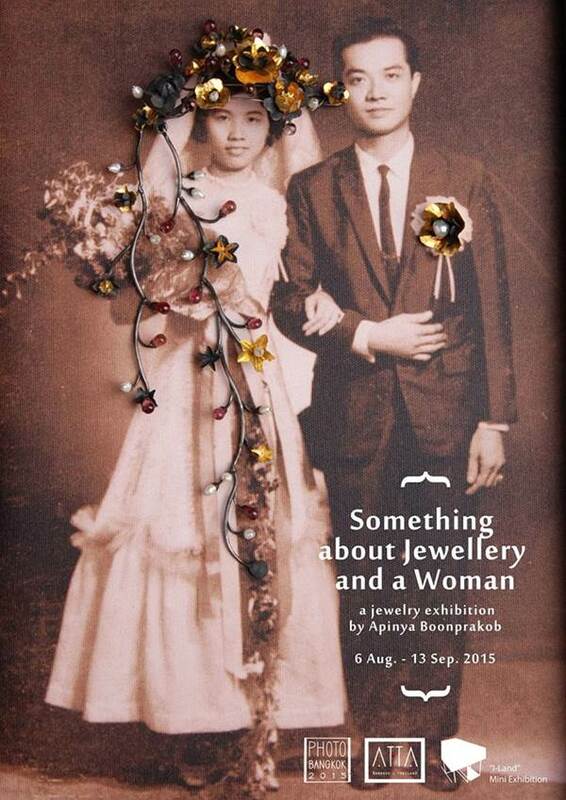 ATTA Gallery will be participating in the PhotoBangkok 2015 with two exhibitions, one is “Something about Jewellery and a Woman”, a jewelry exhibition by Apinya Boonprakob, demonstrating how old photographs influences her imagination and creation of contemporary art jewelry. Apinya is a well-known and well-repspected figure in Thailand contemporary jewelry scene as she has been a professor at Chulalongkorn University's Industrial Design Department since her return to Thailand after receiving her Ph. D from RCA in London, UK. "I am interested in the perception of human being in jewellery. My recent work is an attempt to visualize a relation between jewellery and a wearer. The bases for my works are old photographs of women in different life phases. The photo images are not only sources of inspirations; they also act as a house of jewellery. The women in the photo become imaginary wearers when jewellery is not worn. By moving a piece of jewellery from each image to a real human body, a transition begins. The part of an image becomes jewellery. The hairpin becomes the brooch. Jewellery and the wearer create the whole story."